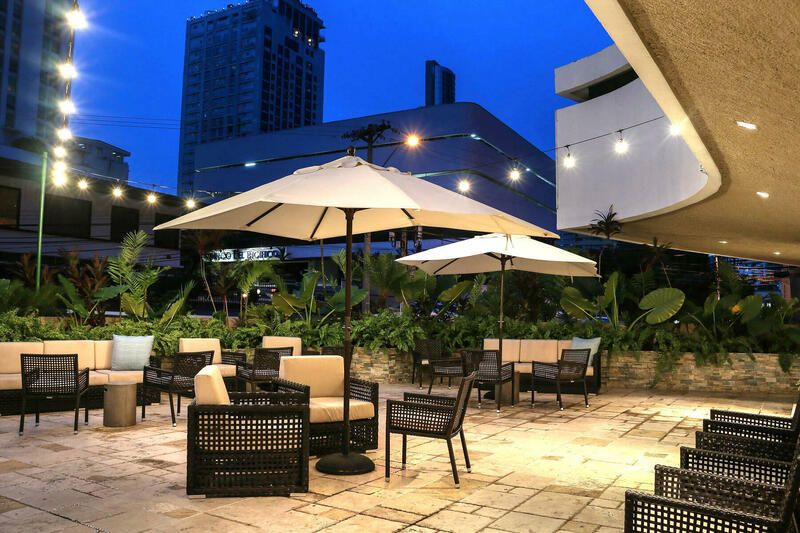 One of the best luxury hotels in Panama, The Executive Hotel is a third-generation family business, founded in 1951 by Vern Harry Jacobson and his wife Mollie Connor Jacobson when they rented the Gran Hotel Managua in Nicaragua. For the next twenty-five years, they added several more hotels in Central America: the Gran Hotel Lincoln in Tegucigalpa, Honduras; the Gran Hotel Sula in San Pedro Sula, Honduras; the Gran Hotel San Salvador, El Salvador; the Brickell Point Apartments in Miami, Florida and the Grand Hotel Guayaquil in Ecuador. The Executive Hotel was purchased in 1969 by Mario Céspedes, a contractor who had begun the construction of a 96-room hotel, but decided to sell the property before its completion. The hotel was designed by Humberto Moran, a well-known and talented Panamanian architect who received a prestigious award for the design of this building. The hotel was ideally located in the center of the growing financial district of Panama City and with the property approximately 70% complete, the Jacobson family had enough room to leave their mark on the internal and finished spaces. Opened in 1970, the Executive Hotel was well received because it met the needs of executive travelers. In fact, during the first month of opening, it had an occupancy rate of 100%, operated with the highest occupancy rates in the city and was considered among the most preferred luxury hotels in Panama. In addition to being within walking distance of the main commercial and banking addresses of the city, the modern rooms were uniquely designed as a comfortable mini-office that featured many "firsts" in the Central American hotel industry. It was the first hotel that included private balconies, executive desks with swivel chairs, mini-refrigerators, coffeemakers in the room, televisions, direct-dial phones (with free local calls), central air conditioning, wall-to-wall plush carpets (It was very popular back then!) And Simmons Beauty Rest's extra-long mattresses on beds that functioned as sofas.